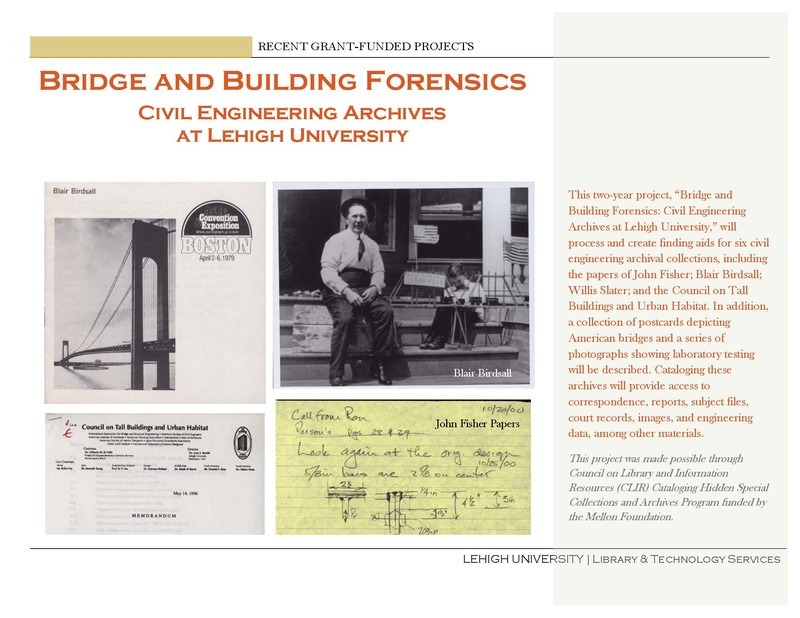 This two-year project, “Bridge and Building Forensics: Civil Engineering Archives at Lehigh University,” will process and create finding aids for six civil engineering archival collections, including the papers of John Fisher; Blair Birdsall; Willis Slater; and the Council on Tall Buildings and Urban Habitat. In addition, a collection of postcards depicting American bridges and a series of photographs showing laboratory testing will be described. Cataloging these archives will provide access to correspondence, reports, subject files, court records, images, and engineering data, among other materials.